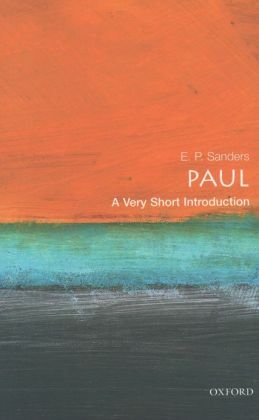 I love E. P. Sanders, Paul: A Very Short Introduction (Oxford: OUP, 2001) and always assign this little book as essential reading for my class on Life and Letters of Paul (itself formerly taught by Ed Sanders here at Duke). In re-reading sections of it this term, I noticed some horrendous typos on one page. Only pistis and pistos are ok; the others should of course be dikaiosunē, dikaios, dikaioun and pisteuein. I checked the older version of the book, Paul (Past Masters; Oxford: OUP, 1991) and there, in what is also a much nicer printing that is much more readable, the transliterations are accurate. So it looks like the problem occurred in the typesetting of the new Very Short version. I hope that they can correct this before the next printing -- it looks so horrible. My paper gathers together my thinking about Talpiot Tombs A and B as they have emerged here on the NT Blog over the last five years. The primary focus is the more recent claims about Talpiot Tomb B (Is it is fish? Is it a vase? Is it a stick man with seaweed wrapped around his head? Are those scales of a fish or patterns on a vessel? Are those fins or handles?) but there is some discussion also of Talpiot Tomb A, and I am afraid that I could not resist the temptation to bring out John, Paul, George, Alan, Martin and Ziggy for a reunion concert. Renewed thanks to Ralph Hawkins for the invitation to speak last month at SECSOR, to Mark Elliott for inviting us to publish our papers on Bible and Interpretation, and to James Tabor and Christopher Rollston for stimulating exchanges. The event is organized by Tony Burke (York University) in consultation with Brent Landau (University of Oklahoma). It brings together 22 Canadian and U.S. scholars to share their work and discuss present and future collaborative projects. There are more details at the link above. There are some great speakers at the symposium, including Tony Burke, Brent Landau, Jean-Michel Roessli, Pierluigi Piovanelli, Charles Hedrick, Stephen Patterson, Cornelia Horn, Nicola Denzey Lewis, Lee Martin McDonald, Annette Yoshiko Reed, F. Stanley Jones, Stephen Shoemaker, Mark Bilby, David Eastman, Kristian Heal, Mary Dzon, Janet Spittler and Lilly Vuong. I'll be there too as a respondent to the paper by Stephen Patterson. Many thanks to Tony Burke for his hard work in organizing this fascinating symposium. Christopher Rollston's and my papers are to follow over the next couple of days. Back in 2005, I noted that citing "years of research" on a given topic can be a worrying sign, as for example in the statement that "In more than fifteen years of investigation Carotta has found the traces which lead to the Julian origin of Christianity". 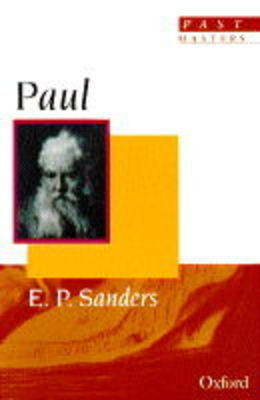 Following 25 years of research, Ralph Ellis has discovered that Jesus was a prince of Edessa in northern Syria . . . . It's a rule of thumb that if an author is appealing to the number of years spent researching a topic, the claim may well be suspect. Peer-reviewed article responding to a blog post: what is the etiquette? In a blog post back in 2010, I sketched out an idea that had occurred to me in class one day, that a conjectural emendation might explain one of the bizarre and famous features of our one major textual witness to the Gospel of Peter, A Walking, Talking Cross or the Walking, Talking Crucified One? I suggested that the scribe may have misinterpreted a nomen sacrum for σταυρωθεντα ("crucified one"), instead imagining that σταυρον ("cross") was meant. In a forthcoming article in the Journal of Theological Studies, Paul Foster provides a detailed critique of the blog post, "Do Crosses Walk and Talk? A Reconsideration of Gospel of Peter 10.39–42", JTS 64 (2013): 89-104. The article is now available to view for subscribers. At a future point, perhaps when I have worked up the idea fully for publication, I would like to comment on the content of the article, but in this post I'd like to reflect a little on the phenomenon of a peer-reviewed article in a major journal providing a full critique of a blog post. I will confess to mixed feelings. On one level, I am really flattered that Foster, and the editors of JTS, regarded my blog post of sufficient merit to warrant an extended response, and I am grateful to them, I think, for noticing my blog and regarding it so highly. On another level, I have to admit that it makes me slightly uneasy to see my random jottings here subjected to the same kind of detailed critique that one would normally reserve for scholarly books and peer-reviewed articles. The difficulty in part may be that there is not really any established etiquette for this kind of thing. Blogs and the blogging phenomenon are still pretty young, and we don't really know yet how they should fit into the scholarly landscape. Should we treat them like casual academic gossip, a kind of online senior common room, or is every post fair game for a full, formal response in a peer-reviewed journal? One thing that focuses the discussion for me is to compare the status of the blog post with the status of the academic conference paper. Many scholars add a kind of rider to their conference papers, "Work in progress; not to be cited" and so on. The point there is that conference papers are for discussion at conferences but not (yet) in formal publications. I think I see something similar for blog sketches like mine -- it will, I hope, eventually make its way to publication, but it does not yet have that kind of status. Indeed, in the case in question, I did subsequently present the idea in a conference paper (International SBL, London, 2011), which will form the basis of a future formal publication. For me, the blog is something more informal, more chatty than the published paper. I write differently here from the way that I write in peer-reviewed articles. My tone is much more colloquial. I speak differently in the classroom, differently again in the NT Pod. So now that I look back at the blog post in question, I notice that I talk casually about the cross "bouncing out of the tomb"; I use a little cartoon illustration; I speak in the first person a good deal and I speculate openly. It is all round much more informal and colloquial. This not to say that the discussion of blog posts in formal publications ought to be out of bounds. I have myself published an article discussing the role played by blogs in the discussion of the Talpiot Tomb (The Talpiot Tomb and the Bloggers). Others like James Crossley have written extensively on the blogging phenomenon and what it may reveal about the guild. Nevertheless, I think there is a difference between those sorts of broader discussions about the phenomenon and writing at length about a blog report of work in progress, a post that is explicitly a kind of work-in-progress sketch. But perhaps I am wrong about this. I have had some discussion with Paul Foster via email, and I have corresponded also with one of the editors of JTS who expressed some surprise at my reaction to the publication. I'd be interested to hear what others think about the etiquette here. For one thing, I can't remember another example of this, and if Paul Foster and JTS are trend-setting, it may be worth our while thinking through the implications this has for the topics and the tone of our blogs. I suspect that it will make an impact on how far and in what manner I sketch out new research ideas on this blog but this too may require some additional thought. I am grateful to a friend who drew to my attention to a connection between B. H. Streeter (1876-1937), famed for his contributions to Gospels scholarship, and Charles Dodgson, better known under his pen name Lewis Carroll. ADDISON SOCIETY: The Rev. B. H. Streeter (hon. member) read a paper on "Alice and Her Wonderland," on Thursday. I wonder if the paper survives? My friend tells me that Streeter also read the paper to the Addison Society in 1925, and that he had composed it as an undergraduate, while Dodgson was still alive.